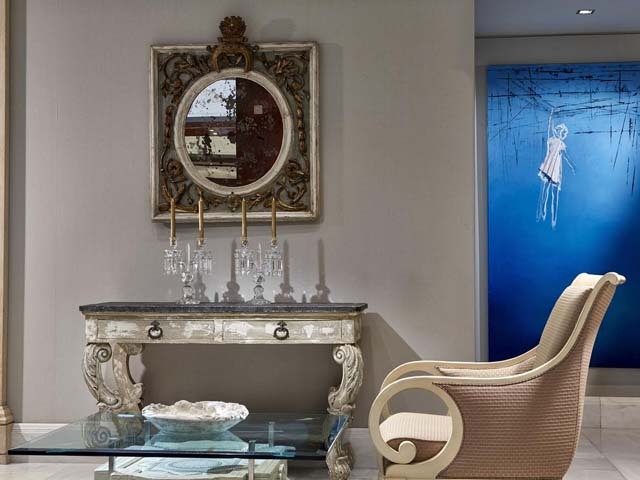 Step into a world of luxury, tranquillity and greenery, and let us welcome you to Rodos Park Suites & Spa, a five star boutique hotel that decorates the city of Rhodes with nobility and elegance. 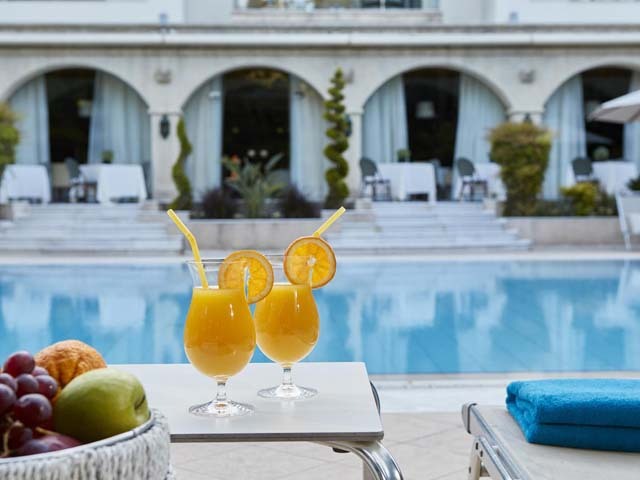 Surrounded by lush parks and flower gardens, our luxury boutique hotel in Rhodes has an ideal location in the capital of Rhodes island, in Greece, just a few steps away from the historic d’Amboise gateway to the Medieval City, as well as the beach, the casino and the modern shopping area. 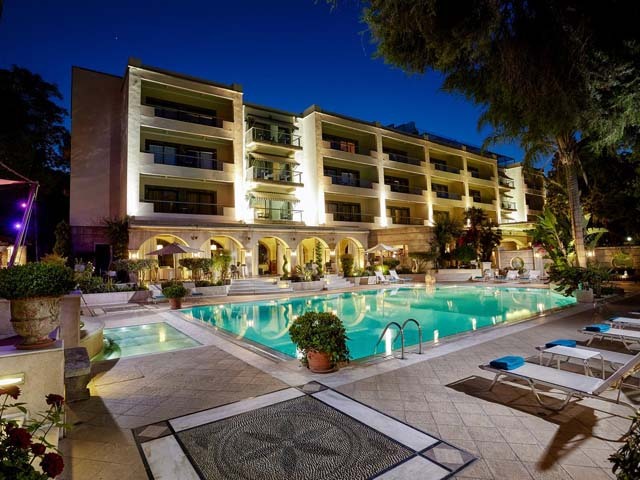 Only a stone’s throw away from our five star hotel in Rhodes Greece, the Palace of the Grand Master as well as countless other historical and religious monuments and museums recount the history of the island. A leisurely walk through the cobble-stoned alleyways of the Old City becomes in fact a journey through history. 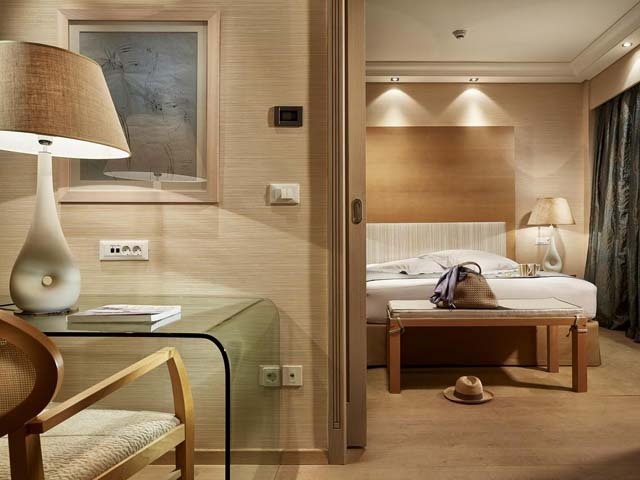 As a proud member of the Small Luxury Hotels of the World, the Rodos Park Suites & Spa Hotel combines its historical setting with all the modern facilities of a luxurious boutique hotel. Winner of various awards (such as the Tripadvisor “Certificate of Excellence” for six years in a row (2011-2016), the booking.com Award of Excellence 2015, the “Best City Hotel in Greece”), and offering high quality services, Rodos Park welcomes guests and stands out as one of the top hotels in Rhodes and Greece. 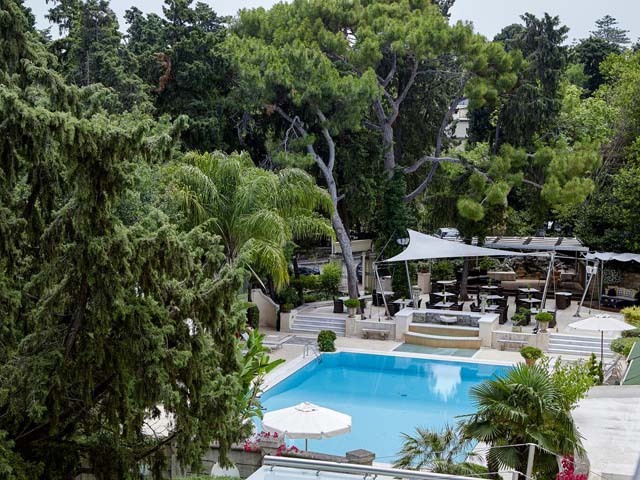 For two decades, Rodos Park has remained at the apex of luxury, style and comfort for the most discerning leisure and business travellers from all over the world. 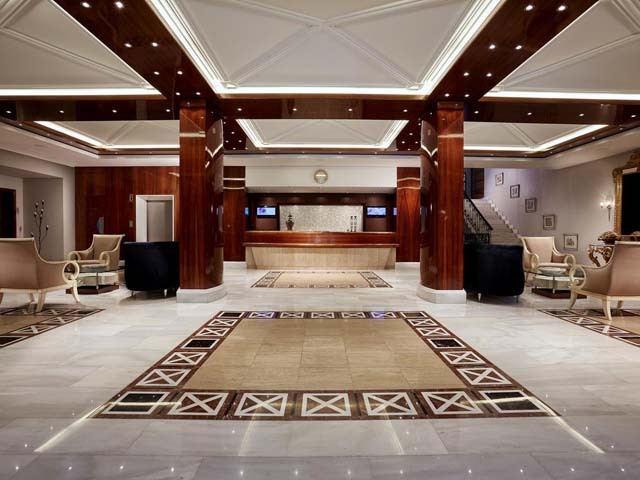 All areas of the hotel marry classic luxury and elegance with modern style and sophistication. Luxurious rooms and suites, top facilities including a magnificent swimming pool and a sublime wellness spa, service of the highest level, gastronomic excellence and warm hospitality make Rodos Park stand out as one of the top options among the best hotels in Rhodes. Get a taste of fusion Greek, Mediterranean and international gastronomy at La Brasserie RestaurantJoin us at La Brasserie Restaurant for an unrivalled gourmet experience. 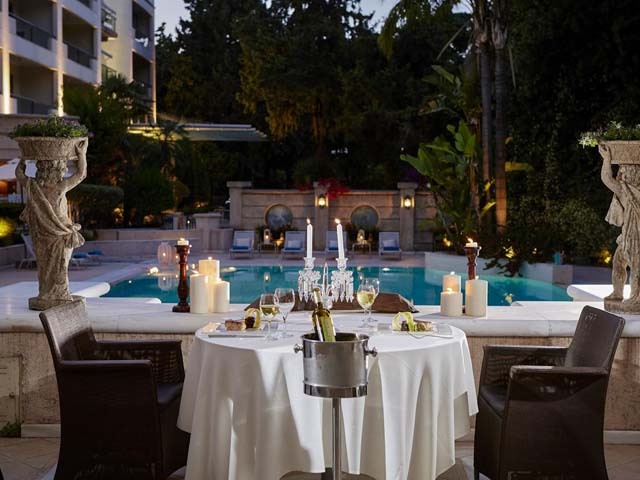 Situated at the garden level of Rodos Park with views the swimming pool and greenery, it features an elegant dining room and a charming poolside terrace. La Brasserie Restaurant is open for breakfast, lunch and dinner. a rich buffet will spoil you for choice of homemade and local delicacies with a marvellous selection of fresh bread, savoury dishes and pies, divine pastries, real Greek yoghurt and freshly squeezed juices.The lunch and dinner menus feature a delectable fusion of Mediterranean and international cuisine that surpasses the expectations of the most discerning gastronome. 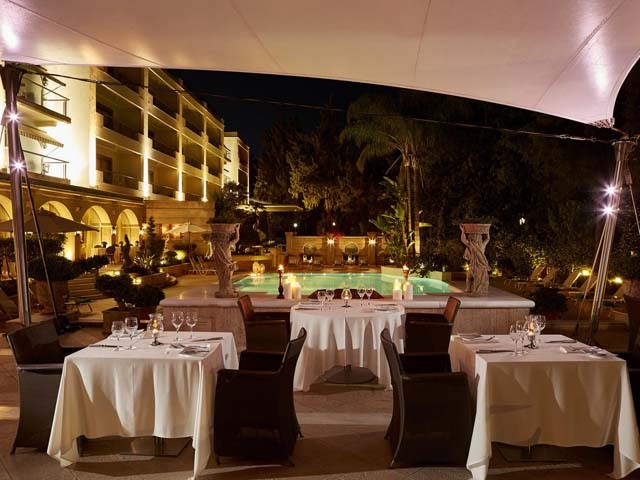 The exquisite surroundings, attentive service and the fine choice of gourmet dishes lovingly prepared with innovative flair by our longstanding chef and his team, make La Brasserie the top choice for romantic dinners, culinary get-togethers and celebrations, among all restaurants in Rhodes. After an exciting day exploring the Medieval City of Rhodes or sightseeing and touring the island, our tranquil fragrant gardens will come as a real treat. Enjoy the singing of birds in the lush foliage as you rest on your sun lounger by the swimming pool or relax in the shade with a drink. The gardens and the pool area of our luxury hotel in Rhodes island are an oasis of calm and peace, a true sanctuary only breath away from the Medieval City of Rhodes.You may want to start your day with a pre-breakfast swim in the pool – its generous dimensions (16.5 x 9.5 metres) will allow you to do laps and get a proper workout. Or perhaps at some point during your holidays in Rhodes Island Greece you will be in the mood for a lazy afternoon by the swimming pool, to work on your tan and take refreshing dips, while our caring staff will serve you refreshing drinks and snacks. Why not indulge a little bit? 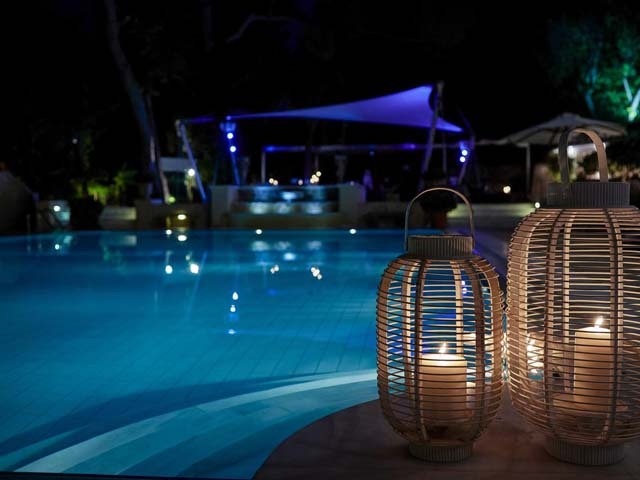 Simply switch off and let us spoil you!And, come nightfall, the pool area transforms to a magical place: the lantern-lit terraces and garden are the most romantic setting to listen to some mellow music, enjoying an after-dinner drink or savouring of our delicious cocktails, by the cool, sparkling pool! Dazzling views and glamour at the Galaxy Roof Lounge Bar. 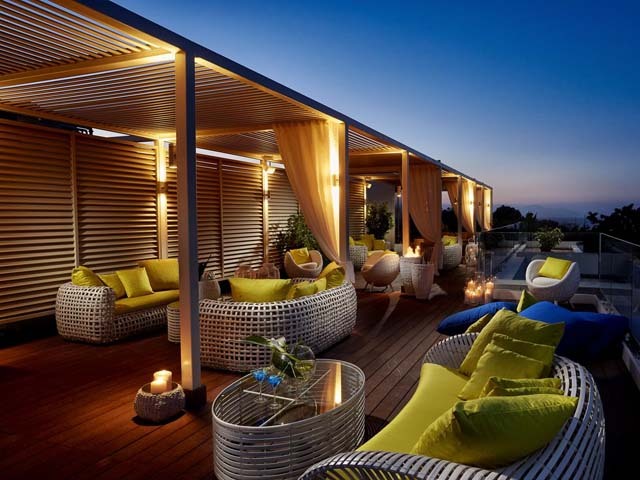 For a touch of glamour, atmospheric lounge music and absolutely magical views, head for the Galaxy Roof Lounge Bar of Rodos Park Suites & Spa. While enjoying exquisite finger food and exciting cocktails, you will be spoiled with the most spectacular vistas of the island and the medieval city offered by any bar in Rhodes island.Stylish, sophisticated and reaching for the stars, there is no better place for a romantic tête-à-tête or a glamorous cocktail party than this wood-decked summer roof bar with its soft music, candles and comfortable pillows. Indulge with a glass of Champagne, try one of the bar’s specialty cool and spicy cocktails or taste some excellent wines and treat yourself to a platter of delicious finger food. The magical atmosphere and fantastic views will simply take your breath away. 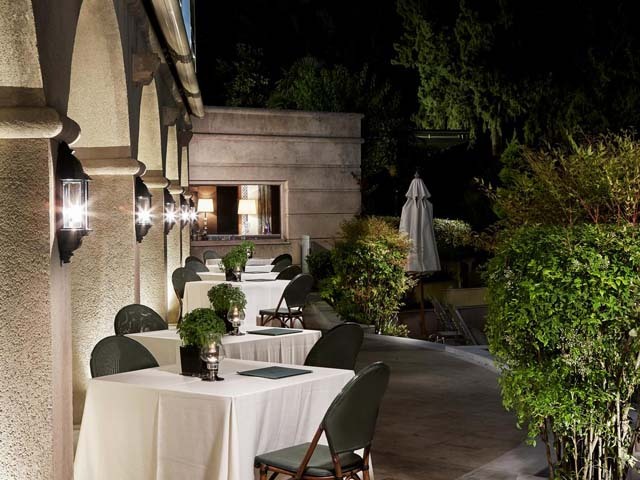 Fine dining under the stars in the charming Mediterranean Restaurant Il Parco. 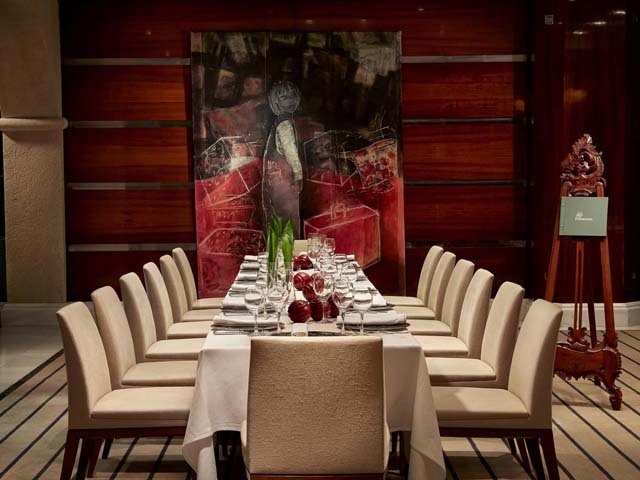 Il Parco Restaurant will take you on an exciting culinary journey through the Mediterranean. In an idyllic setting amidst trees and gardens next to the pool, this open air Mediterranean restaurant serves authentic and innovative Mediterranean dishes prepared with the freshest locally sourced ingredients. Savour artfully prepared dishes infused with Mediterranean flavours served by our attentive staff in an exquisite intimate setting with soft music playing in the background. Enjoy the most romantic al fresco dining experience in Rhodes, Greece! 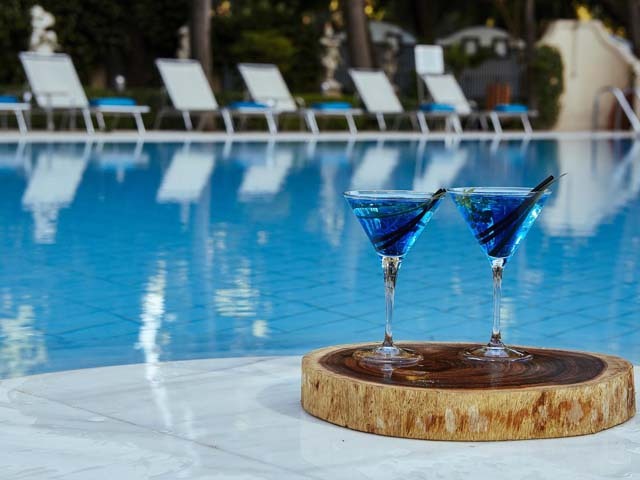 Meet up and enjoy cocktails at L’ Agence Lobby Bar of Rodos Park. 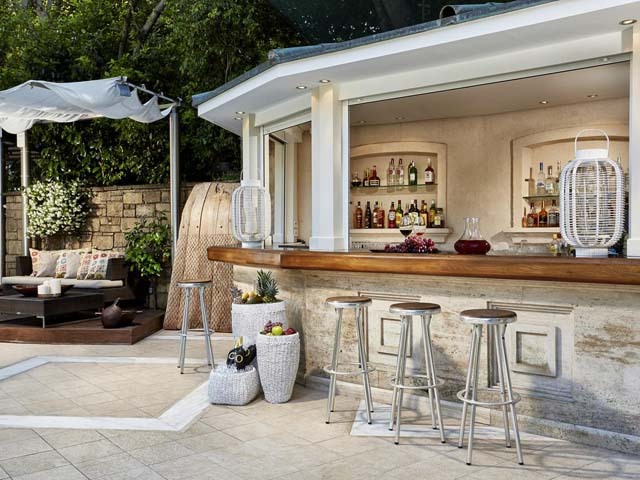 Situated in the lobby area of Rodos Park 5 Star hotel in Rhodes Greece, the cosmopolitan L’ Agence Lobby Bar is very much in vogue as a stylish bar to have a coffee, tea or drink. It provides a wonderfully relaxed and luxurious environment to simply unwind and read a book, or to meet up with friends or business associates in Rhodes.You can order coffee and tea accompanied by mouthwatering pastries at L’ Agence Lobby Bar, as well as alcoholic drinks and delicious finger food. Check out the cocktail menu and be dazzled by the choice of classic, as well as trendy, exotic and cool & spicy signature cocktails. 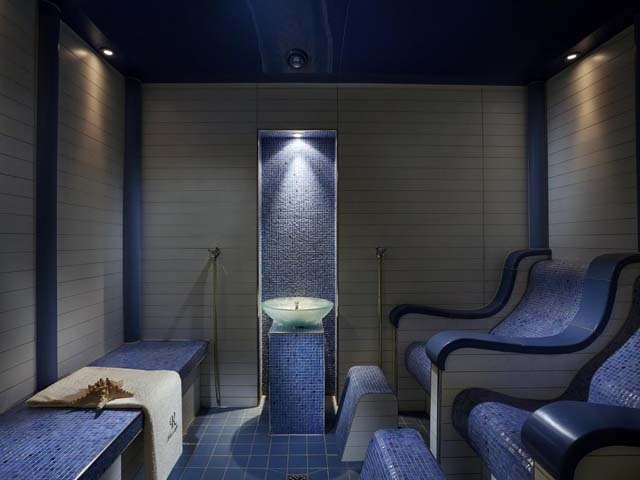 Choose one to enjoy accompanied by the cool tunes of the bar’s piano in the evening, or, go for a juicy and healthy fruit cocktail as the perfect way to conclude a rejuvenating spa treatment! Relax in style at L’ Époque Lounge and Cigar Bar. 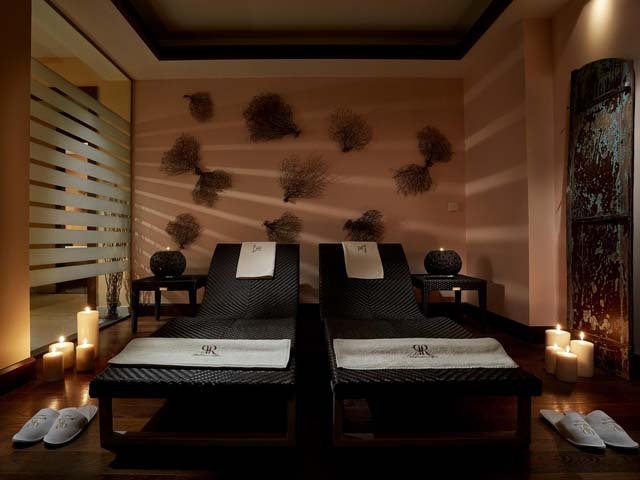 You will feel truly relaxed and at home at L’ Époque Lounge and Cigar Bar at Rodos Park Hotel in Rhodes Greece. 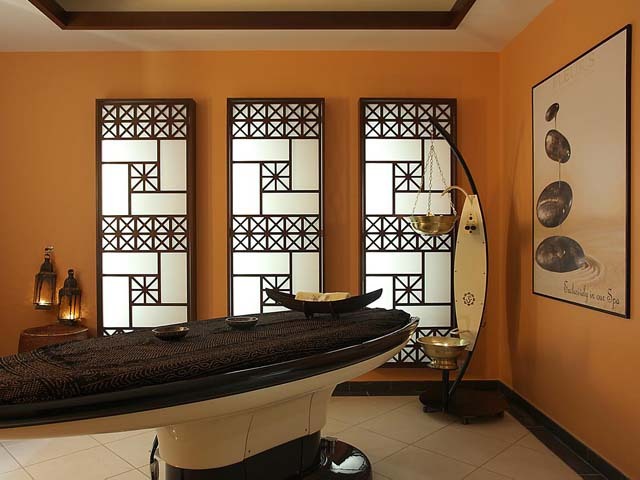 This elegant, sophisticated salon creates an ideal setting to escape from the hustle and bustle of the city of Rhodes, and to unwind and lounge in a comfortable armchair while listening to some mellow music. In the colder months, you can warm yourself by the fireplace, while in the summer you will find that the pleasantly cool atmosphere creates a welcome relieve from the summer heat.Why not enjoy a traditional afternoon tea and spoil yourself with some delicious fresh pastries at L’ Époque Lounge and Cigar Bar? Or read your favourite book while savouring a glass of excellent wine? Come at night to relax by candlelight with a glass of vintage Cognac or whiskey and choose a fine cigar from the humidor. 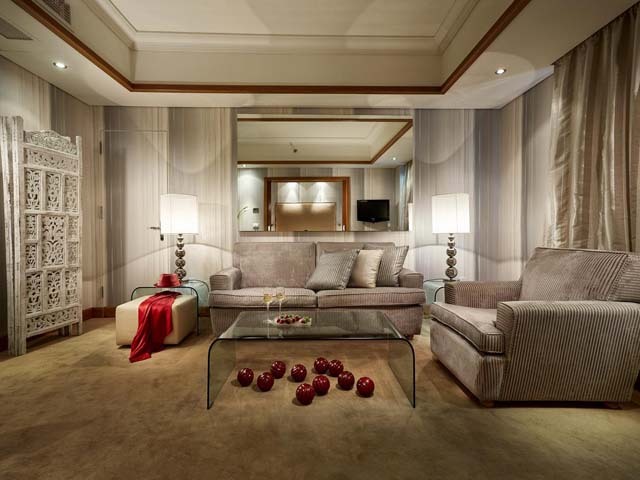 This one-of-a-kind suite has the last word on luxury. 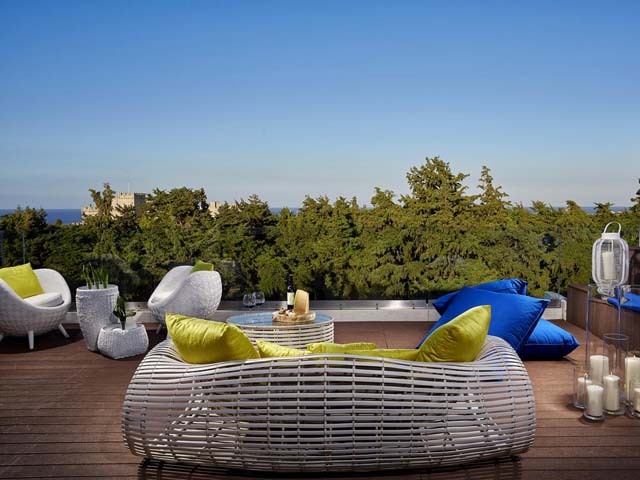 Style and elegance reign at this regally appointed 140 square meter Presidential Suite that will wrap you in luxury and comfort.The large L-shaped living room boasts stunning views over lush green gardens and the Medieval City of Rhodes. The dining area seating eight persons is ideal for private dining with your loved ones or business partners and a separate working area will allow you conduct business efficiently.The spacious master bedroom has a light and airy ambiance, with a heavenly king-sized bed made of the finest natural materials, a choice of pillows, top quality linens and cloud-soft duvets for the sweetest of dreams. A magnificent bathroom features a luxurious mosaic bath tab and a glass walk-in shower.Your own elevator takes you to the Presidential Suite’s private roof terrace where from the indulging comfort of your Jacuzzi you can take in magical panoramic views to the Medieval City of Rhodes, the Castle of the Knights, the sea and the parks.If you opt for the Presidential Suite, you will experience the ultimate luxury indulgence at our hotel in Rhodes Greece. 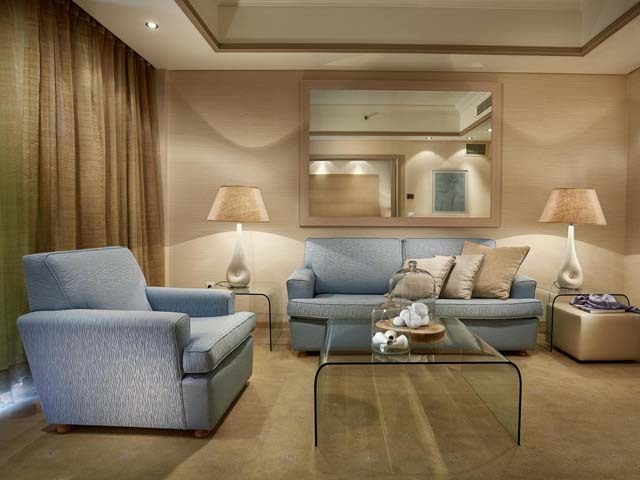 Inspired by captivating themes, our eight individually conceived Executive Park Theme Suites in Rhodes will delight you with their unique, sophisticated design, generous space (50 square meters), warmth and outstanding luxury.Each Executive Park Theme Suite boasts a beautiful living room, a working space and a separate bedroom. Private balconies afford unique views to green parks and/or the swimming pool.A wonderful nights’ sleep is guaranteed in heavenly king-sized beds made of the finest natural materials, a choice of pillows, top quality linens and cloud-soft duvets. Beautifully designed wall-to-wall marble bathrooms offer a Jacuzzi bathtub, quality amenities and lighted magnifying mirrors. Complimentary Wi-Fi allows you to stay in touch with business, family and friends at home.Our Executive Park Theme Suites are the ultimate luxury retreat in Rhodes, Greece, for the most demanding leisure and business travellers alike. Extremely spacious (50 square meters), sophisticated, elegant, warm and luxurious, our six Executive suites spoil you with smart design and outstanding luxury. 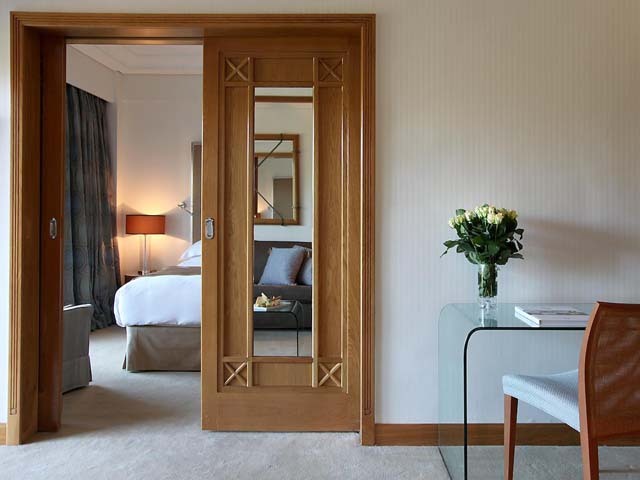 Each Executive Suite boasts a beautiful living room, a working space and a separate bedroom. Private balconies afford unique views to green parks and/or the swimming pool.A wonderful nights’ sleep is guaranteed in a romantic king-sized bed made of the finest natural materials, a choice of pillows, top quality linens and cloud-soft duvets. Beautifully designed wall-to-wall marble bathrooms offer a Jacuzzi bathtub, quality amenities and lighted magnifying mirrors. Complimentary Wi-Fi allows you to stay in touch with business, family and friends at home.Our Executive Suites are the perfect retreat for business travel, romantic escapes, honeymoons and luxury holidays on Rhodes Island, and they are also ideal as family suites when combined with a deluxe double room. 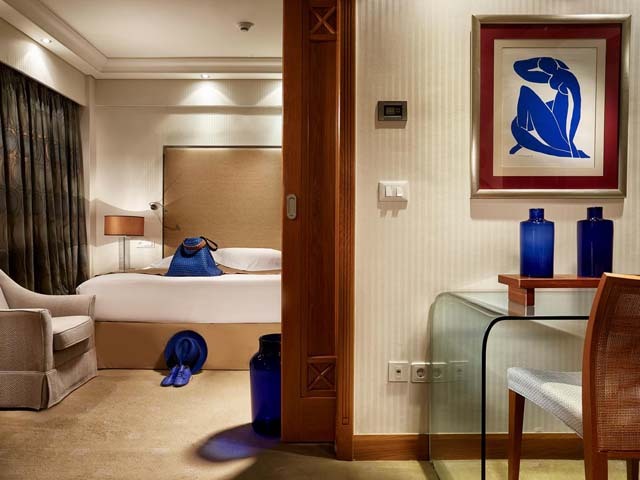 Indulge in a haven of sophistication, elegance and sublime comfort in any of our six Junior Suites. This truly luxury accommodation features stylish furnishings complemented by fresh modern colour schemes. Generously proportioned – their average size is 40 square meters – our Junior Suites have a comfortable living room and a separate bedroom as well as a private balcony affording unique views over the nearby archaeological area.A wonderful nights’ sleep is guaranteed in a romantic king-sized bed made of the finest natural materials, a choice of pillows, top quality linens and cloud-soft duvets. A third person will sleep comfortably in an excellent sofa bed. Beautifully designed wall-to-wall marble bathrooms offer a Jacuzzi bathtub, quality amenities and lighted magnifying mirrors. Complimentary Wi-Fi allows you to stay in touch with business, family and friends at home.Our Junior Suites are ideal for a luxurious and relaxing stay in Rhodes, Greece. Sophisticated, elegant, warm and luxurious, our eight Superior Suites are the pinnacle of modern hospitality, providing ample space (43 square meters), stylish design and outstanding comfort. Each Superior Suite boasts a beautiful living room and a separate bedroom as well as a private balcony affording unique views over the nearby archaeological area.A wonderful nights’ sleep is guaranteed in a romantic king-sized bed made of the finest natural materials, a choice of pillows, top quality linens and cloud-soft duvets. An extra person will sleep comfortably in an excellent sofa bed. Beautifully designed wall-to-wall marble bathrooms offer a Jacuzzi bathtub, quality amenities and lighted magnifying mirrors. 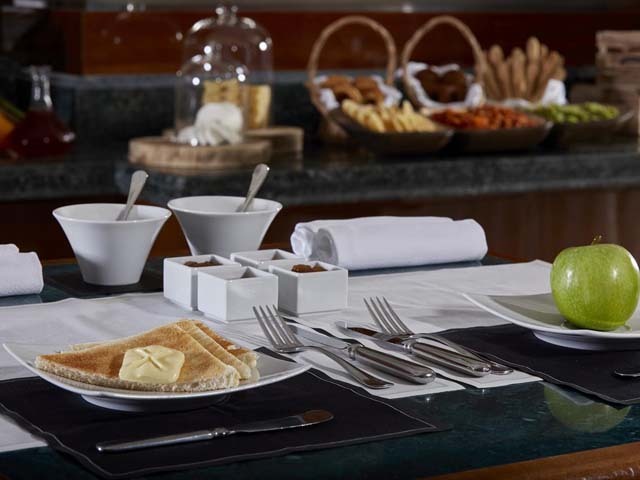 Complimentary Wi-Fi allows you to stay in touch with business, family and friends at home.Our Superior Suites are the perfect retreat for business travel, romantic escapes, honeymoons and luxury family holidays on Rhodes Island. Business and pleasure do mix, and our hotel in Rhodes, Greece proves this. 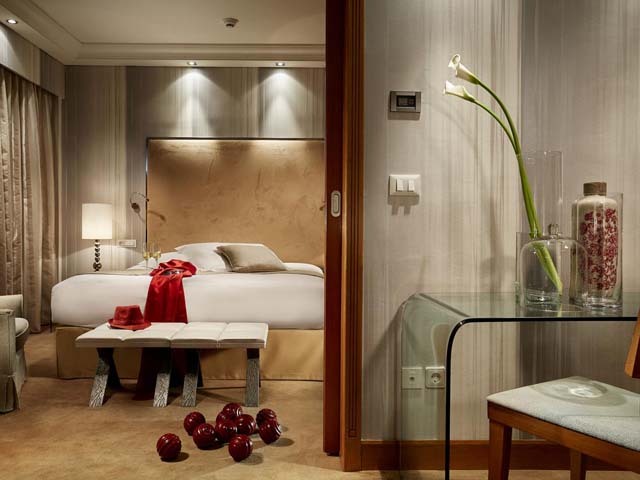 Comfort and elegance will never be subject to compromise in our four luxurious business rooms. The perfect set-up for single and/or business travelers, these 22 square meter rooms are thoughtfully designed for comfort and efficiency, while at the same time being warm and inviting.No matter how busy your day in Rhodes city may have been, a good nights’ sleep is guaranteed in a comfortable bed made of the finest natural materials, a choice of pillows, top quality linens and a cloud-soft duvet. You will enjoy the luxury of a beautifully designed wall-to-wall marble bathroom offering quality amenities and lighted magnifying mirrors. More work to do? A well-lit corner desk, fast Internet (wired and Wi-Fi) and conveniently and placed power sockets create an optimal space. And for your relaxing moments sit back in a comfortable armchair or enjoy the afternoon sun from your balcony with unique views of the archaeological area.The business rooms at Rodos Park are the luxury solution for the efficiency-minded single or business traveller in Rhodes. Step into a world of luxury that simply delights, with an exceptionally sophisticated combination of elegance, charm, style and function. We have appointed our premium deluxe double rooms with luxury features and decorated them in a classic modern style with calming earthy color schemes. Boasting an average size of 28 square meters, you will find they offer ample space. Moreover, from your private balcony you will enjoy unique views of parks, gardens or the swimming pool.Sweet dreams are guaranteed in generous twin or romantic king-sized beds made of the finest natural materials, a choice of pillows, top quality linens and cloud-soft duvets. Indulge in the luxury of beautifully designed wall-to-wall marble bathrooms offering quality amenities and lighted magnifying mirrors. Complimentary Wi-Fi allows you to stay in touch with business, friends and your loved ones at home.Come and enjoy the ideal luxury accommodation for a relaxing stay in Rhodes, Greece. Let us welcome you in a world of comfort that simply delights, with an exceptional combination of elegance, charm, style and function. Our double rooms are appointed with luxury features and decorated in an inviting contemporary style with perfectly balanced natural color schemes. With an average size of 24 square meters, you will find they are pleasantly spacious. Moreover, from your private balcony you will enjoy exceptional views of the archaeological area.We guarantee you a wonderful nights’ sleep in large twin or romantic queen-sized beds made of the finest natural materials, a choice of pillows, top quality linens and cloud-soft duvets. Indulge in luxury in your beautifully designed wall-to-wall marble bathroom offering quality amenities and lighted magnifying mirrors. Complimentary Wi-Fi allows you to stay in touch with business, family and friends at home.Maybe you would like some extra space and privacy because you are travelling with family members or children? We would happily reserve two interconnecting double rooms for you. We work hard to be the best family hotel in Rhodes City! Rodos Park Suites & Spa is located at the most beautiful spot of the Rhodes city center surrounded by green parks and tented gardens. It is opposite of the medieval city, within 5 minutes away from the commercial center and the important sights around the city. Open: April - October... 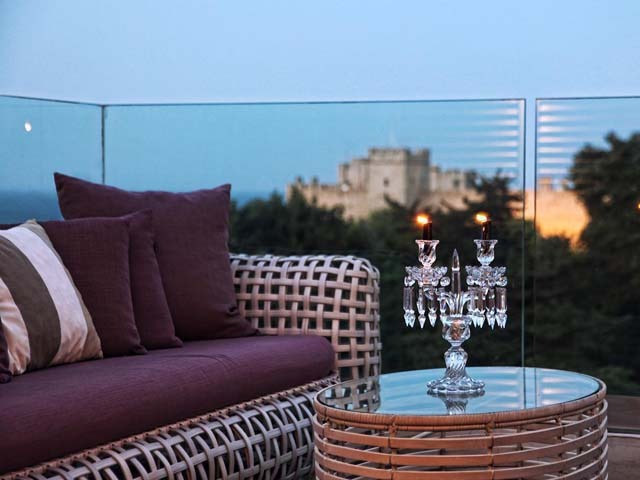 Step into a world of luxury, tranquillity and greenery, and let us welcome you to Rodos Park Suites & Spa, a five star boutique hotel that decorates the city of Rhodes with nobility and elegance.